ArchitectureConnections: Architecture & Parents: Hi Mom! Architecture & Parents: Hi Mom! Young architects learn early on that their chosen profession differs greatly from what they understood while in architecture school. One lesson learned is that while we like to think of ourselves as artists, we differ from traditional artists in a very fundamental way. We cannot buy a canvas and create whatever works our minds can conjure up. We are reliant on clients in order to see our creations realized. For many architects, one of their first clients are their parents, and one of their first projects is the design of their parent's home. This can be an ideal situation. The parents, taking pride in their child's accomplishment of becoming an architect, are likely to be willing clients. The architect, appreciative of the parent's support throughout the long and difficult path to licensure, feel that designing their parent's house could serve as a partial recompense. Equally if not more importantly, the parents tend to be more willing than other clients, to let the young architect experiment with his or her ideals. Also noteworthy is that that this type of residential design is normally of such a scale that it can be successfully carried out solely (or predominantly) by the architect. There you have it - the formulas for the creation of many of our architectural gems. I know of two houses that LeCorbusier designed for his parents. The best known is Vila le Lac. In it, one can see the young architect developing his five points of modern architecture, which came to full fruition in the form of the Villa Savoye a few years later. The house is a very compact machine for living, less than 700 square feet. 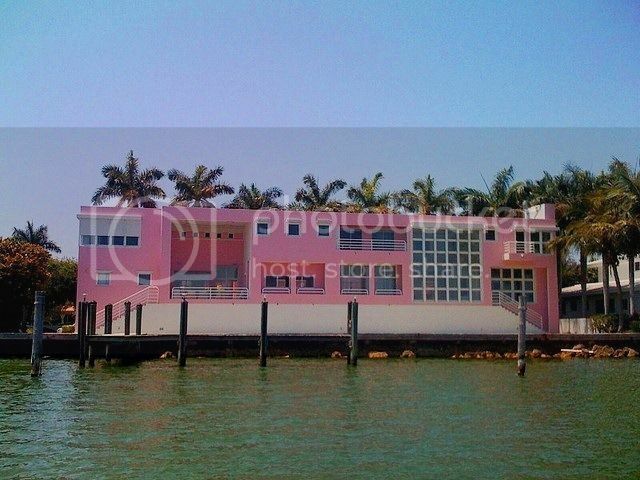 It is sited on the water and demonstrates the architect's fascination with all things nautical. LeCorbusier's father lived in the house for only a year, but his mother always cherished the house and still lived there on her 100th birthday. The spare, modern architecture pioneered by LeCorbusier reigned supreme for most of the 20th century, but was challenged when the postmodernism movement began in the 1960s. Venturi, an outspoken critic of modernism, mocked the modernist slogan "less is more" by insisting that "less is a bore". The project Venturi used to introduce the tenets of postmodernism is the house he designed for his mother, Vanna Venturi. She was uncertain of what to think of all the fuss, but soon learned to love the house. 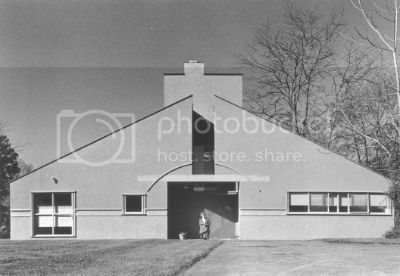 In designing the house, the slick white modernist box gave way to shapes and elements suggesting architectural forms of the past - pitched roofs, broad gables, exaggerated proportions, and the application of ornamentation. Thus began the study of complexity and contradiction in architecure. 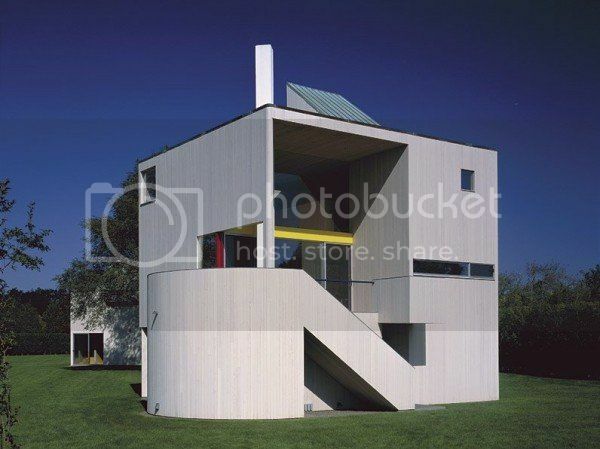 Postmodernism was dismissed by many architects, among them was Charles Gwathmey. His first residential commission was for his parents Rosalie and Robert. Artists themselves, Gwathmey was given a long leash. His only real constraint was the budget. Gwathmey carefully crafted a 1200 square foot masterpiece. The sculptural work is a clever play of solids and voids, light and shadow, cubes, circles and triangles. Shortly after the completion of the project, work on a separate studio began. Juxaposed against the house, the resulting composition enhances both works - figures within a field. Richard Meier, a master of form-based architecture, began this experimentation on a house for his parents. Jerome and Carolyn requested a house that would be comfortable and exciting to live in. Meier, an admirer of the masters of modern architecture, complied with a house he described as "a Miesian brick house under a Frank Lloyd Wright roof". 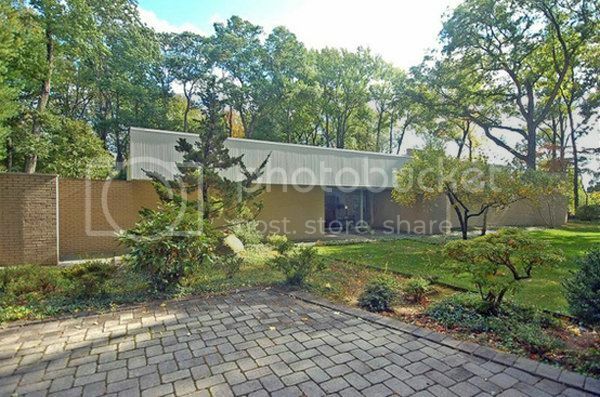 Dr. and Mrs. Rogers asked their son Richard to design a home for them which could be open to the garden (designed by Rogers' mother Dada) but which would still allow for privacy. Rogers responded with what he described as "a transparent tube with solid boundary walls". Indeed, it exhibits the beginnings of many of the features for which Rogers is now known. It is a carefully crafted, high tech building, foreshadowing the Pompidou Centre. The systems are on display rather than being hidden - transparent skin over painted steel bones. The partitions are movable to allow for maximum flexibility. It was a project of which both the parents and the architect could be extremely proud. Rogers has described it as his most successful small project. Many gifted architects in the 1970s believed that modern architecture was becoming tired, but chose to reimagine what it could be, rather than abandon its precepts. Laurinda Spear and Bernardo Fort-Brescia were such architects. They used color as a device to enliven the house they designed for Spear's parents, the surgeon Harold and realtor Suzanne. The pink house caused instant controversy in the neighborhood, which led to the zoning board's insistence that a grove of trees be placed between the street and house. 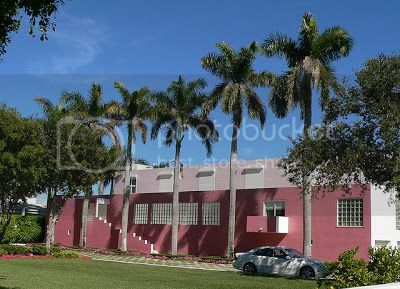 Interestingly, the trees chosen, palm trees, accentuate rather than hide the five shades of pink . 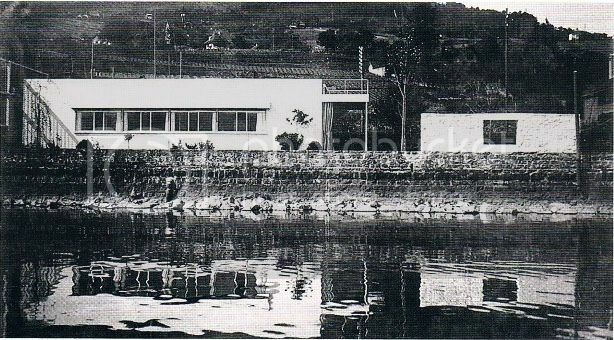 The bay side of the house reads as a mass with galleries and portholes residing over a hull on the water. With its ocean liner motif, introduced more than fifty years earlier by LeCorbusier in the house he designed for his parents, we have come full circle in our exploration. I have no doubt that there are other houses designed by architects for their parents which deserve further consideration, but time necessitates that I leave it here. This post looked at several houses designed by architects for their parents. In most cases these houses helped the young architects launch their careers. Next time we'll explore the later careers of three of the architects mentioned here, all of whom completed houses for their parents in the 1960s, and all of whom are still practicing! Join me next month for Practice, Practice, Practice!